Magic has arrived in Storybrooke! 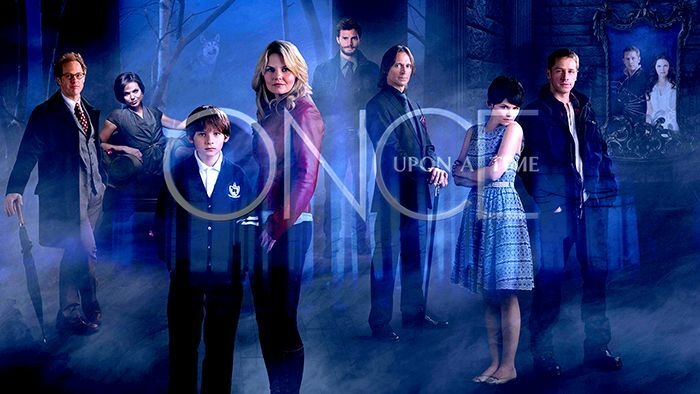 “Once Upon A Time” has returned 8-9 p.m. PST on Sundays, and those who have been keeping up with the show can tell you that this change means everything. If you haven’t already guessed, “Once Upon a Time” is a fantastical drama that takes place in two worlds: our world — the present day reality, and the fairy tale world. The premise of the first season was that the fairy tale characters that you are familiar with from your childhood are under an evil curse, thanks to the evil queen Regina, and are trapped in our world, ignorant to who they truly are. The curse made it impossible for anyone to enter or leave the town of Storybrooke, and time stood still in an endless loop. That is, until the protagonist Emma Swan was dragged into the town at the insistence of her newly reunited orphaned son, Henry. Swan arrived at the cursed town and became a part of it, an action that began to break the bonds of the curse that were holding all the residents in our world. 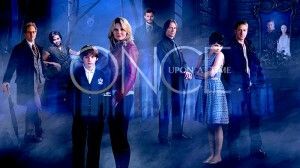 As events in the present day strained the seal on the fairy tale characters’ memories, we were told an intricate history of the Enchanted Forest and its inhabitants, the true personalities of those trapped in Storybrooke. And it’s not just the stories we’ve grown up on — the stories are interwoven and the histories changed. We see that Snow White was the one who saved Prince Charming and, in doing so, intentionally poisoned herself to save him; we witness how Belle falls in love with a Beast known as Rumpelstiltskin; and we are there to see a hopelessly romantic dwarf named Dreamy become the famous cynical dwarf named Grumpy. To make sure everyone gets their happy-ever-after, Regina’s curse needs to be broken, but that can only be done by Emma, who is connected to the fairy tale world in ways she cannot begin to fathom. The entire first season is focused on making Emma believe the few characters who remember their pasts, as they try to find ways to convince her to believe in the unbelievable — magic. In the end, events allow them to succeed, and the curse is broken — but no one returns to the Enchanted Forest. Instead, they get their memories back and are allowed a brief respite of happiness before Rumpelstiltskin summons the magic of the Enchanted Forest to them, disrupting the power balance between good and evil once more. Many fans were both outraged and excited by the season one cliffhanger, generating a lot of positive feedback and word-of-mouth for the show, but so far, season two hasn’t reciprocated the hype. The flashbacks aren’t exciting or interesting anymore, and the tension between good and evil has dulled. Without these two very key factors that helped the first season become what it is, the show only has interesting plot development, which has become slightly predictable and mediocre at best. True, the first three episodes have changed the dynamic of the show, switching up character development, throwing in a couple of plot twists and even changing how the story is told. But something seems to have been lost in the transition; suddenly, what’s happening to the characters doesn’t concern us. This is disappointing because the first episode of this new season launched with an excellent premise. But sadly, these past two episodes have been struggling through murky plot lines and soapy acting, causing the show to falter, which worries me. If things continue this way, the show will turn many people away, and it may not get renewed for a third season. Luckily, the latest episode had bits and pieces of interesting things going on with new and preexisting characters and maybe this season is just taking a while to vamp up. Hopefully we’ll get a good dose of all the things we loved about season one in a few episodes. It’s just going to be rough sailing until then.